Limited to a maximum of 4 people! This is a 6 night / 7 day African photo safari workshop, that takes you to two of the best locations in the world for wildlife photography, the private Kwando Reserve and Kwara Reserve in the heart of the Okavango Delta. The Okavango Delta is Africa’s last eden, a unique pulsing wetland covering an area between 6 and 15,000 square kilometres of the Kalahari Desert in northern Botswana. One of the most sough after wilderness destinations in the world, a journey into the heart of Africa’s untouched interior is like no other. As we criss-cross from drylands to wetlands, traversing the myriad of meandering palm and papyrus fringed waterways, passing palm-fringed islands, and thick woodland, resplendent with lush vegetation, and rich in wildlife you will be guaranteed to have amazing photo opportunities and come back with stories to regale your friends and family. Elephants, Lions, Leopards, Buffalo, Hippos, Giraffes, Zebras, Wildebeest, Rhinos, Hyenas, Wild Dogs, and countless birds, flora and fauna. The entire workshop caters to only 4 photographers, ensuring very personalised photographic tuition that is simply not possible with regular tours. On every game drive you take, you’ll benefit from private tuition from a professional photographer, who’ll share tips on how to get the best shots possible for any circumstances. On every safari drive we will have our own private safari vehicle so we’ll be able to go anywhere we like and spend as much time as needed getting the best possible photos, without having to worry about an overpacked vehicle or someone being in the way of a shot because the safari vehicle is too full. You’ll inevitably want to bring your big lenses and other photographic equipment without leaving anything at home, so we have arranged extra baggage allowance to accommodate this. Being a private game reserve means we have the whole reserve to ourselves, you won’t see any other vehicles except those from our camp! Learn how to use your flash at night for extreme low light photography, increasing your photographic opportunities well beyond golden hour. Not restricted to tracks, off road driving through the bush allows us maximum freedom to get up close and personal with Africa’s big predators as we follow them about their daily hunting, patrolling and mating routines, not to mention big game such as elephants. Photographers of all levels are welcome on this safari workshop from complete beginners to seasoned pros. Expert tuition is provided based on your level of experience. All vehicles used on this workshop are open style safari 4x4 trucks ensuring a 360 degree field of view to take in all the sights and photographic opportunities. Our lodgings are right in the heart of the predator action, which means the action happens right on our doorstep. It’s not unusual to have lions or other predators pass right through camp in the mornings or evenings. 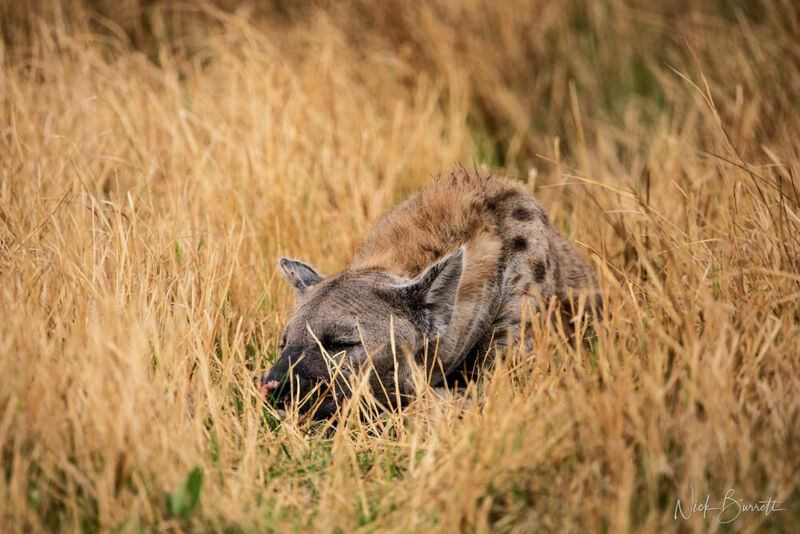 Lebala sits on the floodplains of the Kwando River and the special ecosystem is home to a wide variety of Africa’s plains game such as zebra, wildebeest, impala, giraffe, and tsessebe. The wonderful variety of wildlife also includes elephant, hippo, buffalo and the ever present predators of lion, cheetah and hyena. Lebala’s location away from the dense mopane woodland to the east of the Reserve facilitates the ease of traversing the concession looking for big game. The camp itself is comprised of eight custom designed tents, with unique mosquito net walls, allowing an unobstructed flow of cooling breezes and stunning views. Each spacious tent has its own viewing deck, bathroom and luxurious double outside showers. There is also one family tent which consists of an additional twin bedroom within the unit itself, ensuring that parents and young children sleep in the same tent for their peace of mind. The main areas of the camp include a small swimming pool, a communal fire place and dining room, a curio shop, bar and lounge area complemented with a small library. Splash Camp is situated in the heart of the Okavango Delta, within the Private Kwara Reserve. This brand new camp will offer a very relaxed, friendly and authentic atmosphere. The area has long been known as Splash due to the huge water crossings that had to be negotiated to access the camp area. The Kwara Reserve shares a 30km water boundary with the famous Moremi Game Reserve and its unique location boasts both permanent water and seasonal flood plains as well as extensive dry bush wilderness. 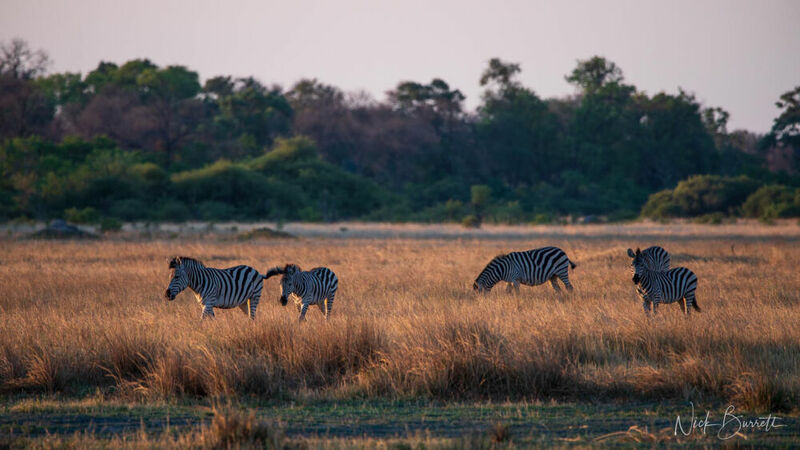 Favoured by labyrinths of permanent water channels and secret islands this area offers the perfect delta experience, and is considered to be amongst the best in Botswana for game viewing and activities. Located around a pan, each of the 12 rooms is situated on a deck overlooking the pan which attracts game year round. All are en-suite with a flush toilet, double sinks and both an indoor and an outdoor shower. In addition each room has a private veranda with outdoor lounge chairs, the perfect place to relax and take in the magnificent views and soak up the atmosphere. The rooms and main area are simply and elegantly decorated with contemporary furniture, complementing the atmosphere of the camp. The main area has a plunge pool, bar, and lounge as well as an orientation center and a curio shop. Just in front, towards the pan is the fire pit where a light breakfast is served each day before heading off on activities, and stories are told after supper in the evenings. The most recommended camera type to bring would be a DSLR with a telephoto lens with a range between 200mm to 600mm (closer to the 600m end). The next recommended lens length would be 70-200mm. A 24mm - 70mm lens is ideal for wider angle shots or when larger animals are very close such as elephants. It’s not entirely necessary to have a very wide angle lens such as 16mm as the landscape it not so conducive to panoramas, having said that you could merge a series of photos to create stunning panoramas where necessary. A lens longer than 600mm can be useful in some situations for extreme distance or for medium sized animals at medium distance. An external flash (connected to your camera’s hot shoe) is also very useful for night time shots, but not absolutely necessary. If you are using a very large lens it is recommended to bring a monopod as holding the camera and lens for a prolonged period of time will certainly make your arms ache, and potentially miss important shots. A tripod is not suitable due to space constraints in the vehicle. Spare batteries for your camera, with charger. There is facility to charge your camera batteries in the safari vehicle but you will need to bring your battery charger to plug into the power outlet. Cleaning equipment for your camera is essential (dust blower, sensor cleaner, lens cloth). Africa is a very dusty place and no matter how careful you are you will find dust gets into all the tiny crevices of your camera, and if not extremely careful, into the sensor housing too. If you do not have DSLR, a good bridge camera (that is a camera similar to a DSLR but with a built in lens) would be a good alternative, providing it has a comparable zoom range as above. Arrive at Maun International airport where you’ll be meet by your host and guide Nick Burrett and transferred to your preferred hotel to recuperate from your flight, ready for the following day’s early start. 05:30am collection from hotels and transfer to Maun airport for a light charter aircraft flight to Lebala camp in the Private Kwando Reserve. Followed by our first morning safari drive, then officially check in to Lebala camp, followed by the days remaining activities. Morning safari activities followed by transfer to Splash camp is the private Kwara Reserve. Afternoon safari activities. 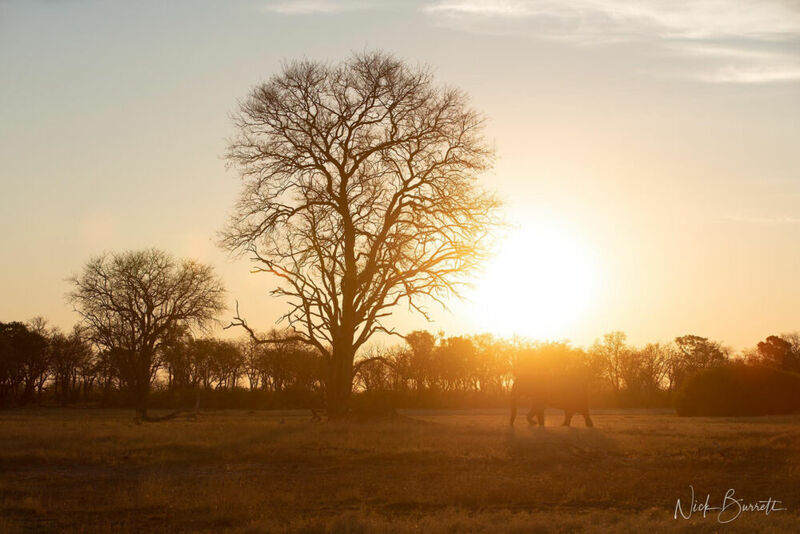 Morning safari activities, followed by check-out of Splash camp and flying back to Maun by light chartered aircraft, for connection to your international flights or other onward journey. A bright and early wake up call at 05:00hrs followed by a tea/coffee and freshly baked muffins at 05:30hrs. Departing at 06:00hrs to catch the morning predator activities before the sun gets too hot. Once the sun is too high in the sky for good photos we’ll head back to camp, about 11am for brunch. After which is a great opportunity to review the photos from the mornings safari drive and go ever any points of improvement. The early afternoon is your chance to either edit your photos, take a siesta or cool off in the pool. Following afternoon tea, we’ll head out to catch the predators and other game animals and partake in the traditional African safari sundowner, as we stop and watch the sunset and marvel at the beauty of nature around us. We’ll then continue our safari into the evening on a night drive as the predators really come to life. Around 20:00hrs we will arrive back at camp ready for a 3 course dinner, with the main course being a buffet. After dinner we can either reconvene with a drink to review the photos from that evenings night drive, or you can relax by the camp fire under the stars, before heading off to bed. Transfers from Maun International airport to your hotel on 8th November. Transfers from your hotel on the morning of 9th November to Maun airport and flights to Lebala Camp. Accommodation with all meals and beverages, including premier brands (alcoholic and non-alcoholic). Emergency medical evacuation cover (all guests must have their own travel and health insurance). All photography tuition, help and advise. Meet & greet in and out of Maun airport. Transfers from Splash camp back to Maun airport on 15th November. Maximum baggage allowance of 30kg in total (including all carry-on luggage and camera equipment) for flights to and from Maun airport to Safari camps by light aircraft. Hotel and meals for the night of 8th November. Any personal spending such as curios and souvenirs. Anything not explicitly mentioned above in What’s Included. A non-refundable 30% deposit is required to secure your spot on this luxury photography safari workshop, with the balance paid no later than 2 months prior to the safari start date. Interested in this photography safari workshop? Send your enquiry below.